Around 10p.m. on Monday night the old Hopple Street Bridge in Cincinnati, OH collapsed onto I-75 while undergoing preparation for demolition scheduled for later that night. The collapse killed one construction worker, injured one truck driver, and shut down the interstate for approximately 24 hours. Experts believe that the demolition process is what triggered the overpass collapse. The collapse of the Hopple Street Bridge is only one of the many dangers that truck drivers put themselves at risk for while transporting their hauls. In fact, according to the Bureau of Labor Statistics, more truck drivers and delivery men die on the job than any other vocation. 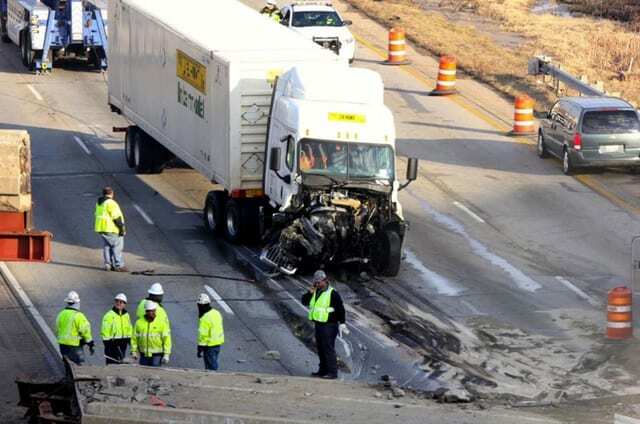 With HG Logistics LLC being a third party logistics company and freight broker, we are constantly working with the drivers who face these dangers every day. Accidents such as this are a true reminder of how appreciative we are of the drivers we have the privilege of working with.